This Bloody Fabric Top Hat mixes the macabre with flair. 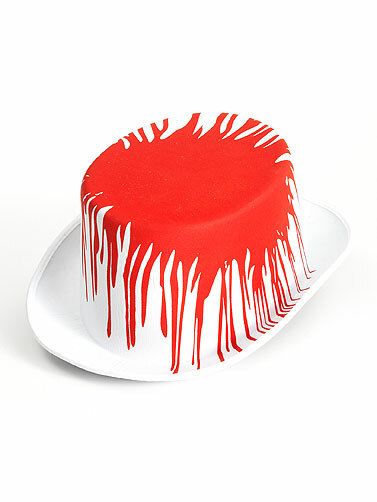 White fabric top hat features a bloody print that starts on the crown with drips of blood down the sides. Bloody Fabric Top Hat measures 11"L x 5"H. One size fits most Adults.